Help the heroine find her family! in this brand new arcade runner full of interesting levels! Help the heroine find her family! Run as a whirlwind, smash foes with a club, ride pterodactyls, alligators and boars in this brand new arcade runner full of interesting levels! 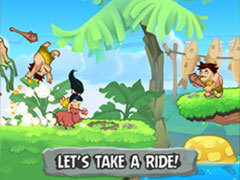 - Colorful levels set in the stone age bursting with life! 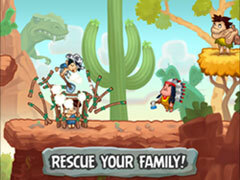 - Make friends with lemurs, gophers, turtles and other cuties! - Collect pieces of maps! Put them together to open new levels! - Collect coins and buy fancy clothes for your heroine!